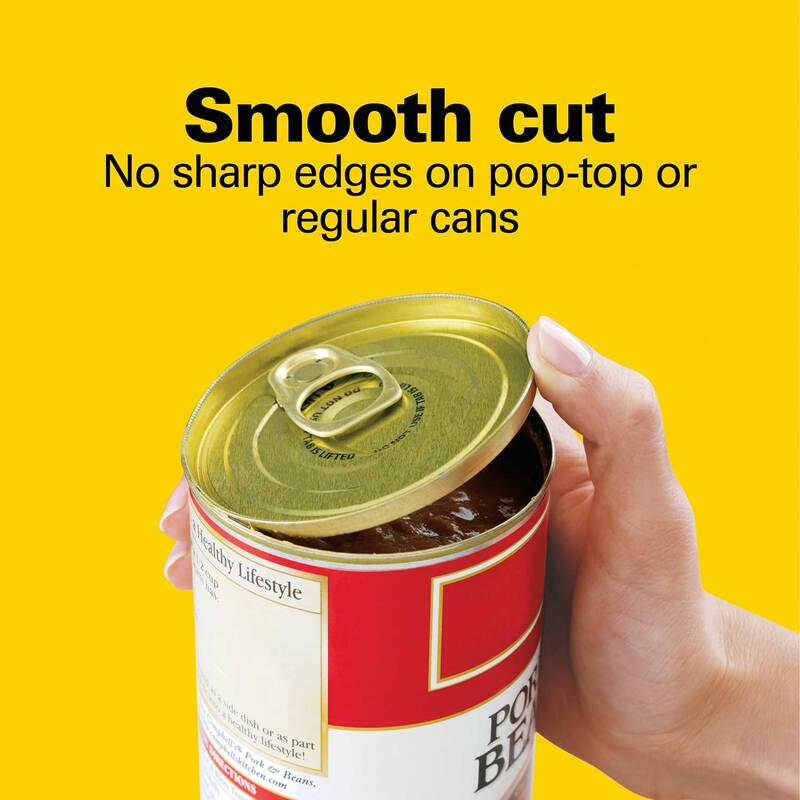 Cuts along the side of the can leaving no sharp edges. Clear out your drawer full of kitchen gadgets. 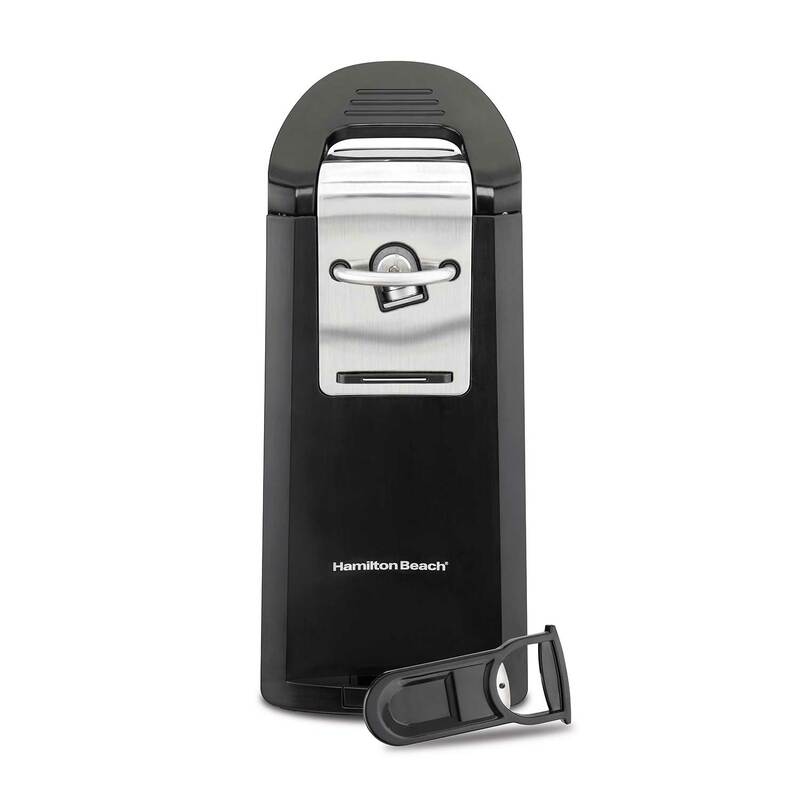 The Hamilton Beach Smooth Touch Electric Can Opener not only is designed to open both pop-top and regular cans without leaving sharp or jagged edges along the lid, but it also features a built-in knife sharpener and a removable bottle opener. 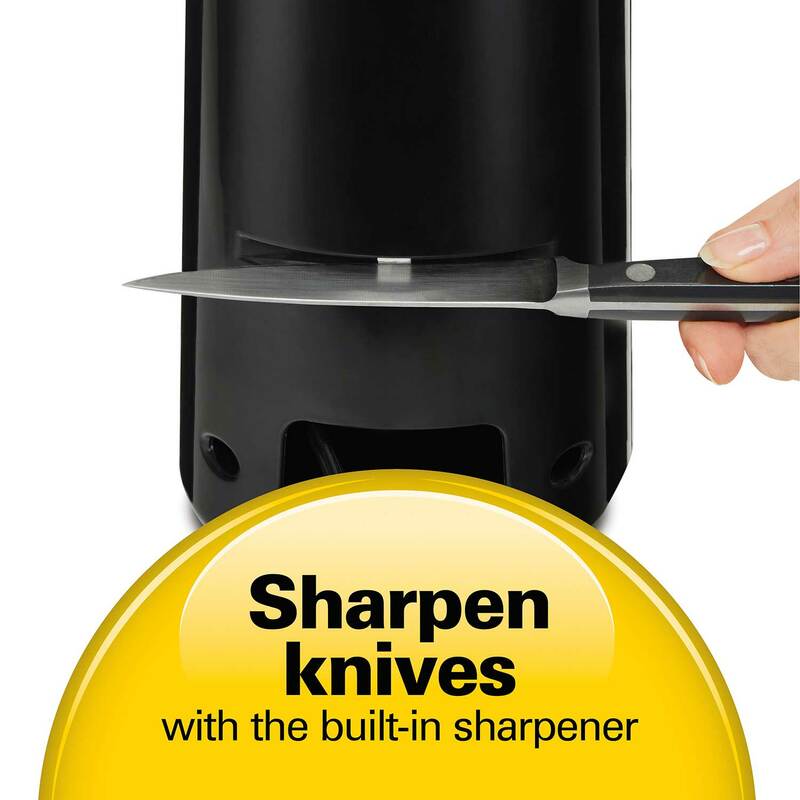 With an extra-tall design, you can easily fit larger cans under the stainless steel, electric cutting blade. 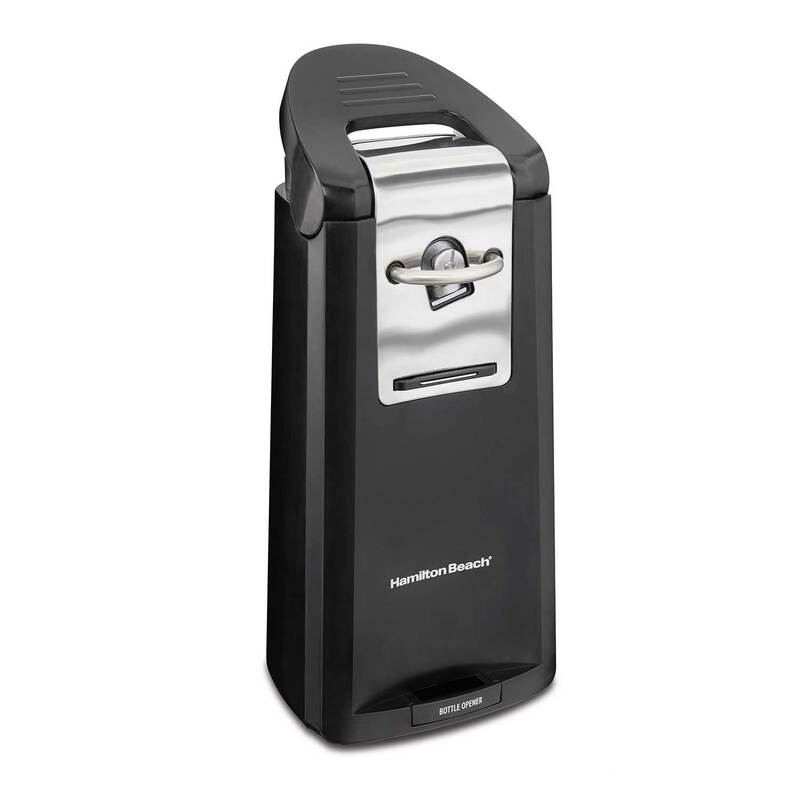 Unlike most can openers, the Hamilton Beach Smooth Touch Electric Can Opener is designed so the blade cuts along the side and not into the top of the can. 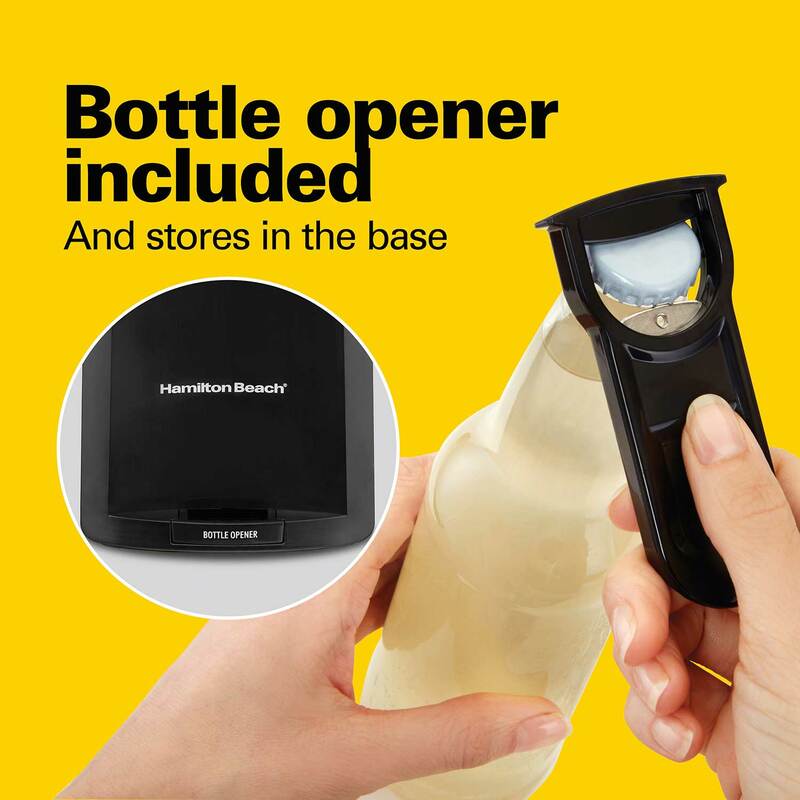 This minimizes the blade’s contact with food, prevents splashing or seeping out from the top and creates a mess-free, smooth cut and no sharp edges along the lid. 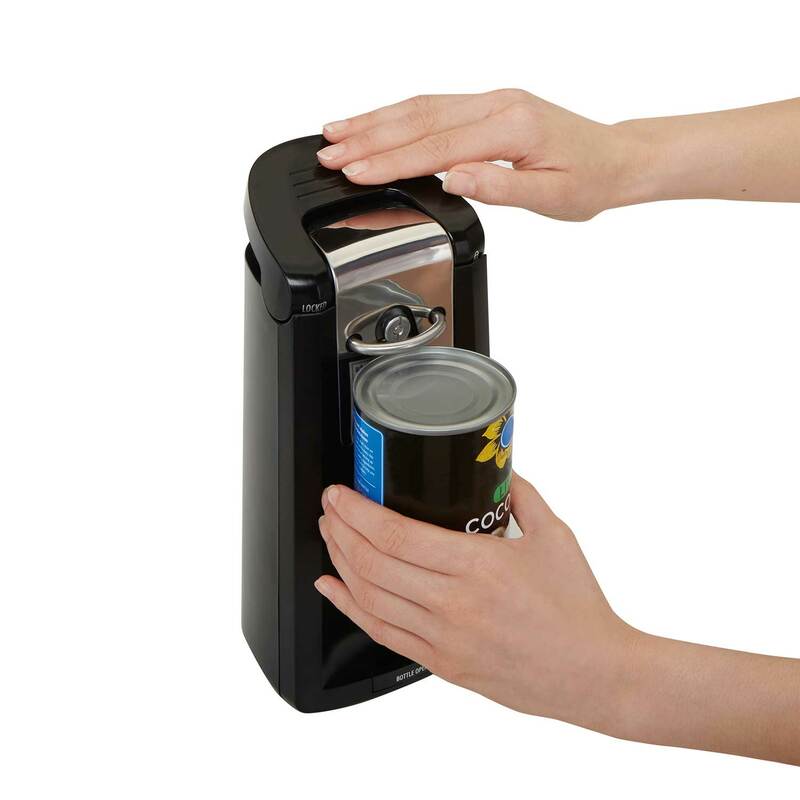 This can opener makes quick work out of opening a variety of cans, whether it’s a small can of tuna or a large can of veggies. 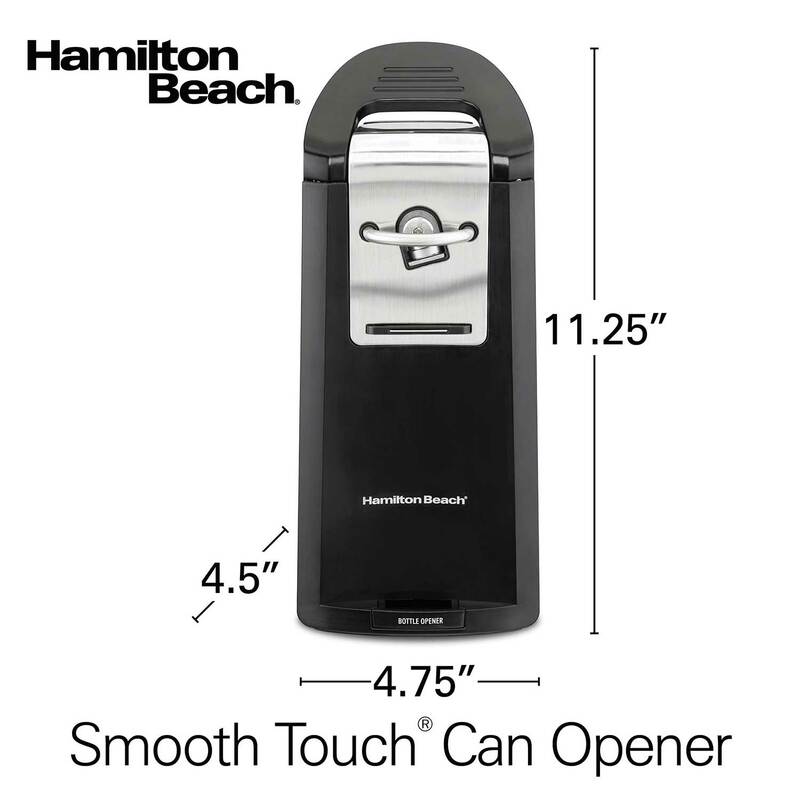 A removable bottle opener slides in and out of the can opener’s front, so you always know where to find it. Quickly sharpen your knife whenever it feels dull. Just turn the unit around to use the sharpener on the back. 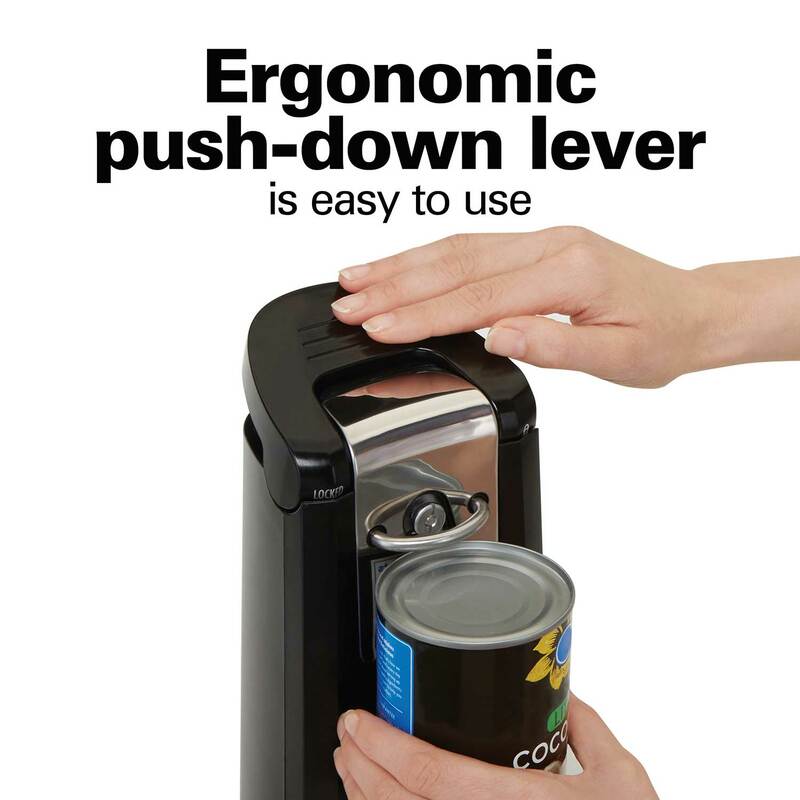 The large, push-down lever makes it easy for anyone to operate with one smooth motion. Just hold the lever down until the blade has made a full rotation around the can. 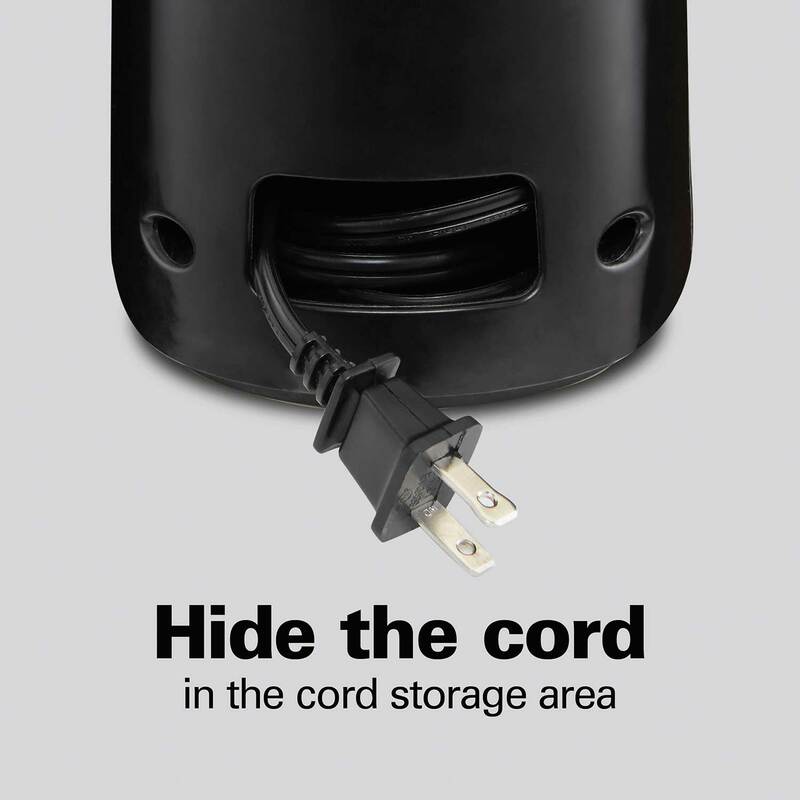 A cord storage area keeps the cord hidden when you want to put the can opener away.